Meet Phil. 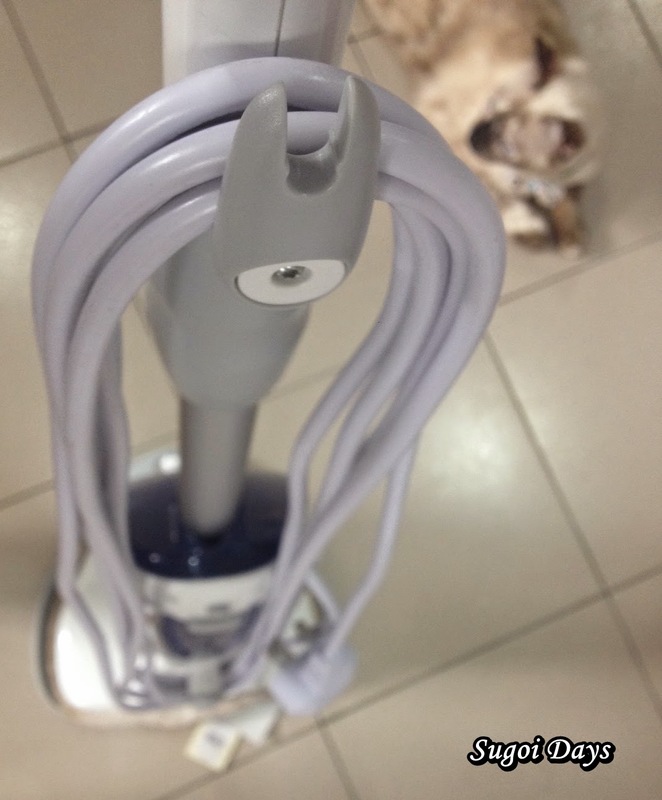 Short for Philips Steamcleaner Active. For about a month now, Phil has been the center of attention amongst us girls in the Wee household, mainly due to his potential to make the weekly chore of cleaning the floor easier for us. You see, Phil has many good qualities and a few not-so-good ones. For starters, it only takes a press of a button to get him turned on. He's perfectly fine standing on his own as he comes equipped with his own personal docking stand. If he isn't standing around, he doesn't mind hanging out on the walls. Steam is Phil's main weapon against the nasty germs, bacteria and dirt. To produce steam, he comes equipped with his own water container. To detach it, one just needs to press the button behind and the container will come free. Unscrew the cap to refill with water. For Phil to get to work, all we needed was to plug him in, press the blue button and after 10 seconds to get him heated up, Phil is good to go. 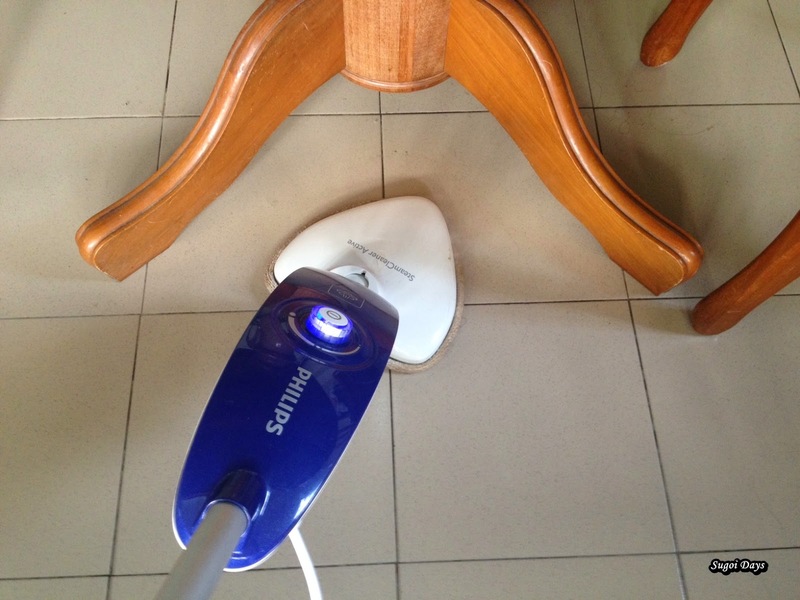 The Philips SteamCleaner Active works wonders on hard floors, even better if the floor is even and smooth. Cleaning the kitchen's uneven tiles was a bit of a challenge for Phil. Moving from room to room require unplugging and plugging Phil and even sometimes the cord wasn't long enough to cover the whole room. But for small, narrow and corners, Phil's triangular extra flat nozzle proves to be the asset for the job. The steam leaves behind a warm moist floor that reminds me of warm moist towels. 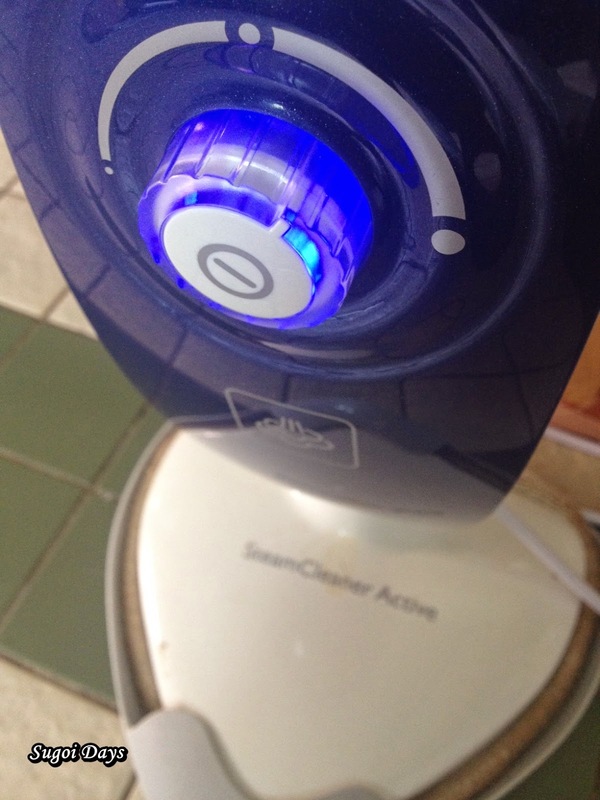 Did you know that the steam can kill up to 99.9% of bacteria and germs? And after mopping/cleaning the floor, all we needed to do was wrap up the cord on the attached hook and remove the microfiber pad that has been doing all of Phil's dirty work from the bottom of Phil (like a dirty diaper). To wash, all I had to do was toss it in the washing machine and once clean, hang it out to dry. Phil has an additional microfiber pad..
Phil was useful if one needed to wipe up spills and floors stains around a small space. 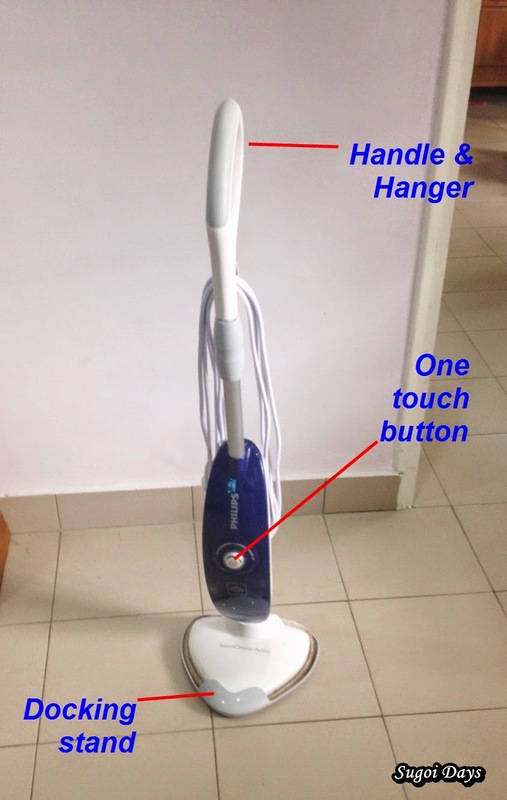 The steam cleans up the mess very fast and you know the heat will kill the bacterias and germs. 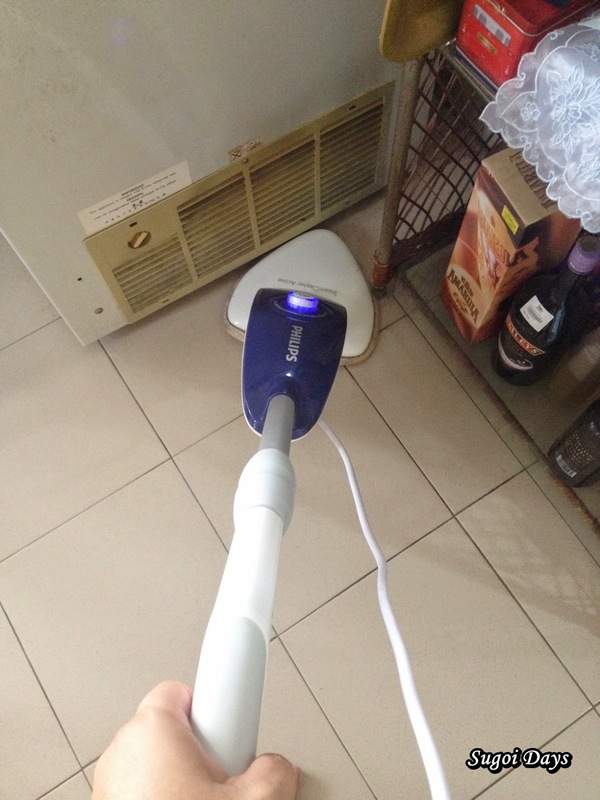 But if I am going to have to tango with Phil's cord and find a power source just to clean the floors of my house, I think I'll stick to a traditional mop and liquid floor detergent. I think Phil will be more at home in a small apartment rather than a huge bungalow. 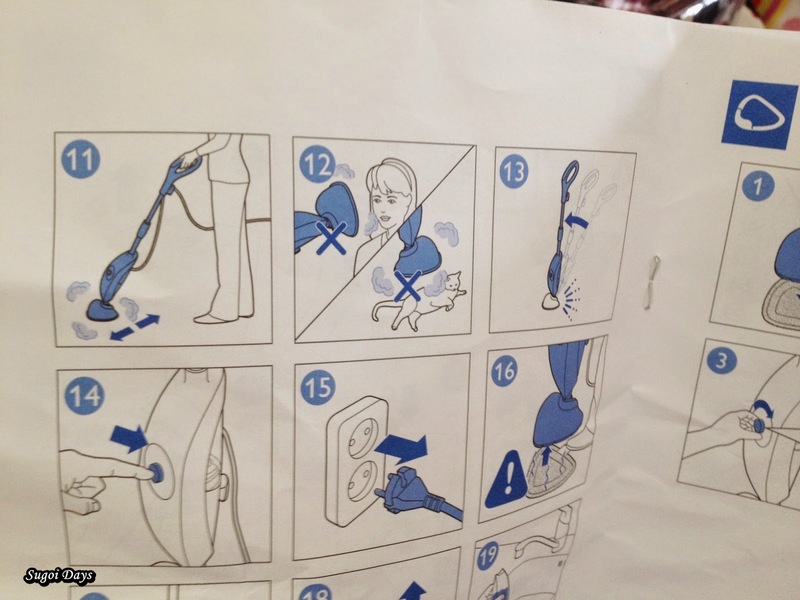 On the other hand, Phil has a wicked sense of humour as evident in his 'Phil for Dummies' manual. 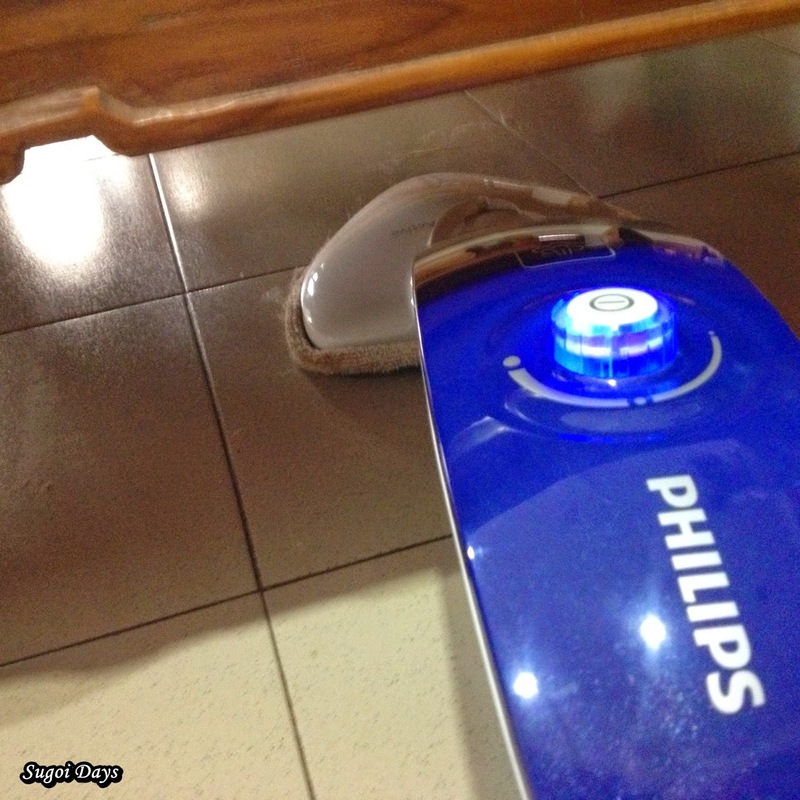 The Philips Steamcleaner Active is available at official Philips distributing electronic stores and departmental stores. For more information, go to www.philips.com.my. 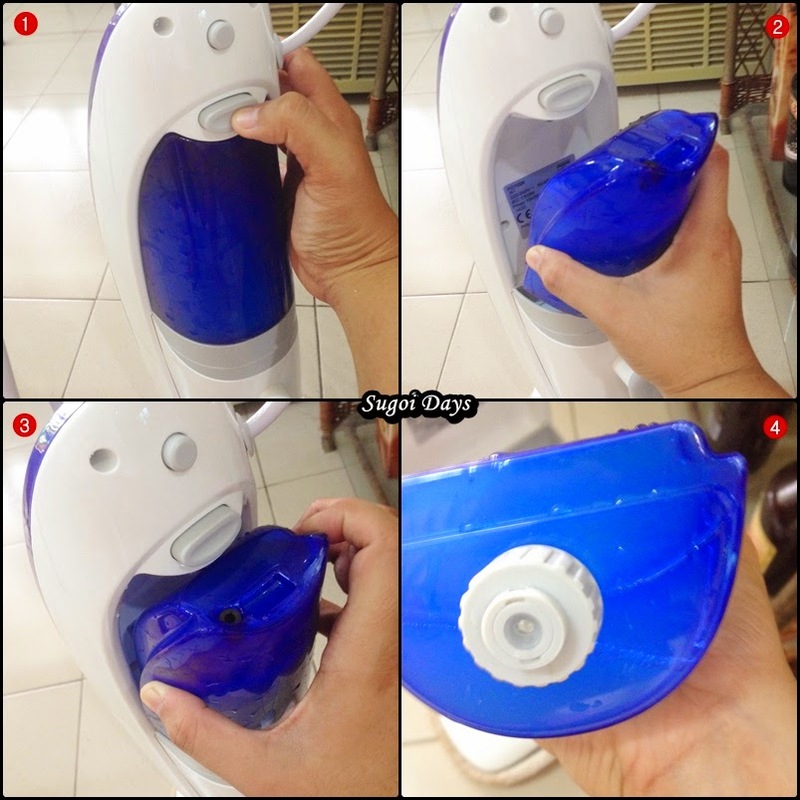 Wow Sugoi, so nice to see this Steam cleaner , it is really necessity to know more reviews of any product before buying it of any brands, review of any product are really helpful of you to get your desire product.